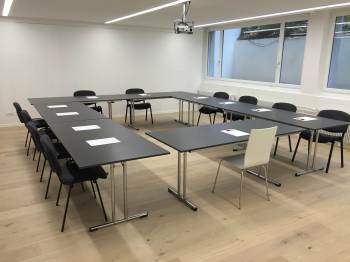 Choose this modern seminar room for your next meeting in Zurich. Located close to “Zürichsee”, it offers not only beamer and flipchart but also copiers, scanners and fax machines, that you can use for a fee. If you only need to rent this room for half a day, the price is 310 CHF.